They would meet every week in the law library, researching legal databases, discussing United States Supreme Court decisions and reviewing copies of Justice Denied, a magazine for the wrongfully convicted. They called themselves the “actual innocence team,” jotting down notes on yellow pads as they served their sentences at Auburn Correctional Facility in upstate New York, hoping to build cases and motions that might lead to their freedom. 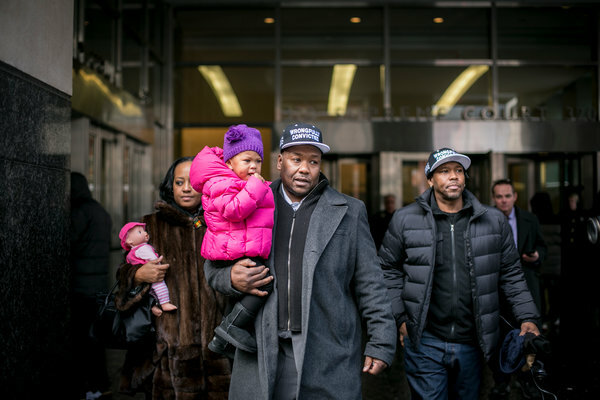 One of those self-taught jailhouse lawyers, Derrick Hamilton, stood in State Supreme Court in Brooklyn on Friday as his 1991 murder conviction was vacated. The hearing capped more than two decades of his filing motions, sending letters and securing affidavits arguing his innocence. The Brooklyn district attorney’s office, which revisited Mr. Hamilton’s case through its Conviction Review Unit, said that medical and scientific evidence, like the path of the bullets and where the victim’s bleeding occurred, undercut the sole eyewitness’s testimony and that the eyewitness was not credible. 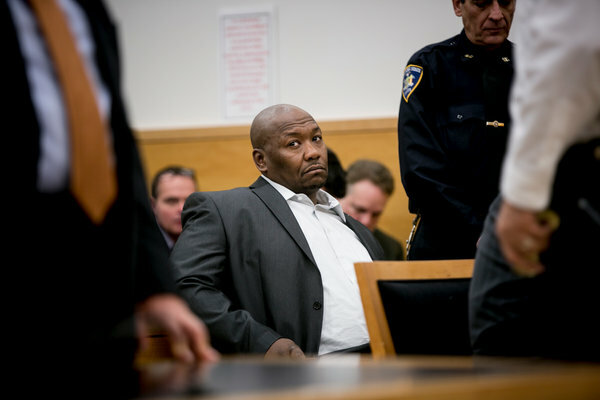 Mr. Hamilton, 49, who was paroled in 2011, was one of the first to notice that there were troubling similarities in convictions involving a former police detective, Louis Scarcella. Mr. Hamilton discovered that Mr. Scarcella would often use the same eyewitness and produce confessions that defendants said were coerced or false. Mr. Hamilton was just out of prison for manslaughter in 1991 when he was charged with shooting a man, Nathaniel Cash, in Bedford-Stuyvesant. Jewel Smith, Mr. Cash’s girlfriend, claimed she was the lone eyewitness to the shooting, but her version of what happened was inconsistent. She told the first detective who interviewed her that she had not seen the shooting. But according to Mr. Scarcella, who interviewed her later, Ms. Smith said she had seen the murder and implicated Mr. Hamilton. In a post-trial hearing, Ms. Smith said she had been pressured by Mr. Scarcella to name Mr. Hamilton as the killer, according to a defense filing. From the spectator section, Mr. Hamilton’s daughter, Maia, 2, placed her doll next to her on the wooden bench. Also watching were men who are fighting their convictions or who have had their convictions vacated, holding “Wrongfully Convicted” caps that Mr. Hamilton had made up: Sundhe Moses, Jonathan Fleming and Kevin Smith. “If there was no law books in prison, I probably would’ve been in an insane asylum,” Mr. Hamilton said before the hearing. At Auburn, he got a job at the law library, where he joined a group of men also working on their convictions. Daniel Rincon, convicted of a 1991 quadruple murder in Manhattan, was the letter writer; he would summarize cases in neat narratives and send letters to journalists and lawyers. Shabaka Shakur, convicted of a 1988 double murder in Brooklyn that Mr. Scarcella worked on, was the researcher, looking up case law and helping hone arguments. Nelson Cruz — whose 1998 Brooklyn murder conviction came in part because of the work of Mr. Scarcella’s longtime partner, Stephen W. Chmil — would sketch out crime scenes, illustrating where witnesses and victims stood. Once a week, in the afternoon, they would write their names on the law library sign-in sheet and take their seats at tables with a security officer stationed above them. Mr. Hamilton would put up a chalkboard and distribute handouts about whatever they would be working on that day. Some days, they would dive into a recent ruling, like the Supreme Court’s decision on actual innocence in the 2009 Troy Davis case. Some days, they would analyze a recent article in The New York Law Journal. They received instruction on how to use the legal-research service Westlaw. And at just about every meeting, they would work on one of their members’ legal motions or letters or responses or arguments. Mr. Hamilton also wanted to get the word out about wrongful convictions. Around 2010, he contacted Lonnie Soury, who had publicized wrongful-conviction cases. “I told him that I really couldn’t help him and I just needed to get paid for my work,” Mr. Soury said, assuming he would not hear from Mr. Hamilton again. Two weeks later, he said, he got a check made out on the prison commissary account for $500. That led to rallies on the steps of City Hall with convicts’ families. And once Mr. Hamilton was released on parole, he helped persuade others, like Mr. Moses and Mr. Smith, who had also been paroled, to make this a public cause. “He said: ‘Listen, you staying dormant. You got to get back involved,’” Mr. Smith said. Mr. Hamilton has been a regular presence at hearings about innocence claims since then and is helping prisoners and former prisoners with legal aspects of their cases. Other members of the “actual innocence team,” including Mr. Rincon, Mr. Cruz and Mr. Shakur, are all still fighting their convictions from prison. An earlier version of this article misstated the year of the two murders that Shabaka Shakur was convicted of. It was in 1988, not 1998. A version of this article appears in print on January 10, 2015, on page A15 of the New York edition with the headline: Wrongly Convicted Man Was His Own Best Advocate.